Ashes 2017-18 has brought about yet another embarrassing moment, this time Australian Cricket being at the receiving end of it. The fourth Test at the Melbourne Cricket Ground ended in a draw after the pitch started behaving indifferently on the fourth day of the Test match. Later constant rain and a wet outfield eventually forced the umpires to end the test match at a stalemate. Post the test match, ICC after a detailed examination report has labeled the pitch as poor. This is the first time ever in the history of Australian cricket that the MCG has been nominated as a poor pitch. From January 1, international grounds that produce inferior pitches will incur two demerit points if deemed ‘below average’ by the match referee, three points for pitches rated ‘poor’ and five points for those classified as ‘unfit’. Had the Test finished two days later, the nation’s most famous cricket ground would have been slapped with three demerit points as part of a new ‘name and shame’ system from the ICC that came into effect on Monday. Cricket Australia Chief Executive Officer James Sutherland expressed disappointment with the character of the Boxing Day Test pitch and the assessment that it subsequently attracted, and added that CA would work closely with the ground’s administrators to avoid a repeat. 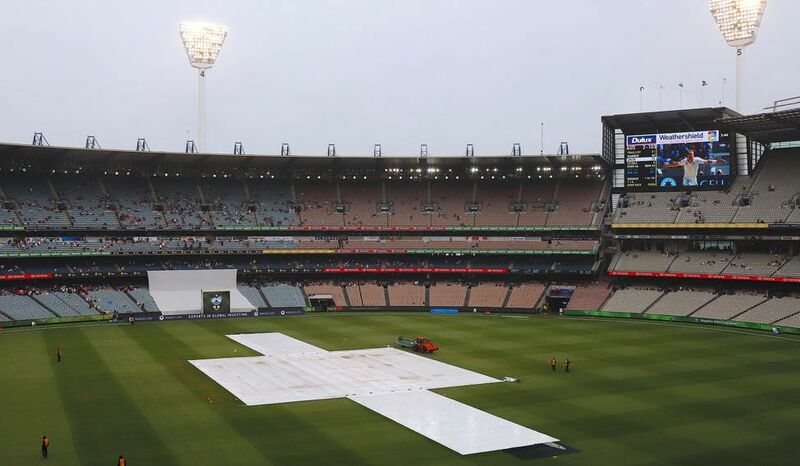 “We were disappointed that the traditional characteristics of the MCG Pitch did not come to the fore during the Boxing Day Test,” Sutherland said today. “We work closely with all our venues to encourage the best possible international cricket playing environment. “We are looking for the right balance between bat and ball, and pitch and ground conditions in keeping with the venue’s traditional characteristics. “We’ll be taking on board advice from the ICC, players and relevant experts to work with the Melbourne Cricket Club to ensure this rating is not repeated” concluded Sutherland. BREAKING: MCG pitch has been labelled as "poor" by the ICC. Embarrassing moment in history of a great stadium. Australia after the Test series will play an ODI against England with Melbourne missing out on hosting any of the 5 matches.